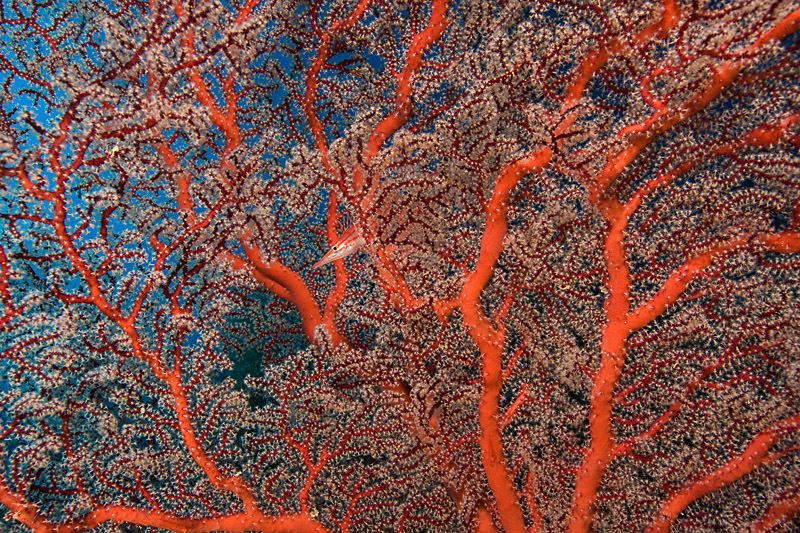 I was cruising along "Deep Wall" off the coast of Palau, Micronesia last month and saw this hawkfish darting in and out of a gorgonian fan at 80-100'. I was a little low on air and couldn't stay long, but got five frames. Most of my underwater images are wide angle; I rarely set the housing up for macro shots. But, for this dive I was using a 16-35mm f2.8 lens and had a zoom gear installed, so racked it to 35mm and got close.